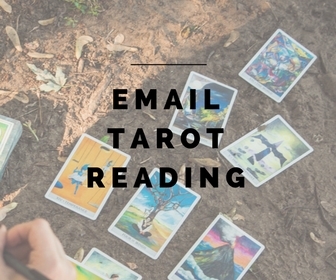 I am taking taking new requests for email readings again you beautiful people! If you are interested in getting one done, send me a message with a number between 1 and 10 and a question if you have one or I can do a general reading for you! If you have a question, your reading will be approximately 3-4 pages long and if you want a general reading it will be approximately 6-7 pages long! Also please send an e-transfer in the amount of $20 to moultonsasha@hotmail.com with the password reading or you can stop by the store and pay in person with cash, credit or debit, thanks! I will not start a reading until an e-transfer has been received and I will not accept the e-transfer until your email reading is done and sent you!